This issue’s cover, illustrated by David Wyatt, is from Geraldine McCaughrean’s The Kite Rider (0 19 271860 6, £6.99 pbk) due to be published in March. Geraldine McCaughrean is interviewed by Stephanie Nettell. Thanks to Oxford University Press for their help in producing this January cover. Vicky and Jade, best friends since childhood, are now in their third year at secondary school and determined that their friendship will last for ever. Accordingly, when Vicky is knocked down by a car and killed, Jade's life is shattered - until, shortly after the accident, Vicky returns as ghost. In this new guise, she is as domineering and verbally perky as ever, frustrating Jade's efforts to live with her grief and to become her own person. 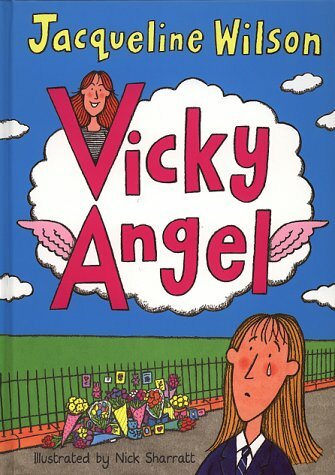 The steps which lead to the book's closing line, where Vicky finally 'flies away', are traced in a narrative which combines snappy colloquial humour and sympathetic insight into the realities and illusions of teenage friendships. Another surefire Wilson winner!